It had been a while since I last worked on a kayaking production! At last I was given the opportunity by directing the profile clip of Red Bull athlete Nouria Newman. 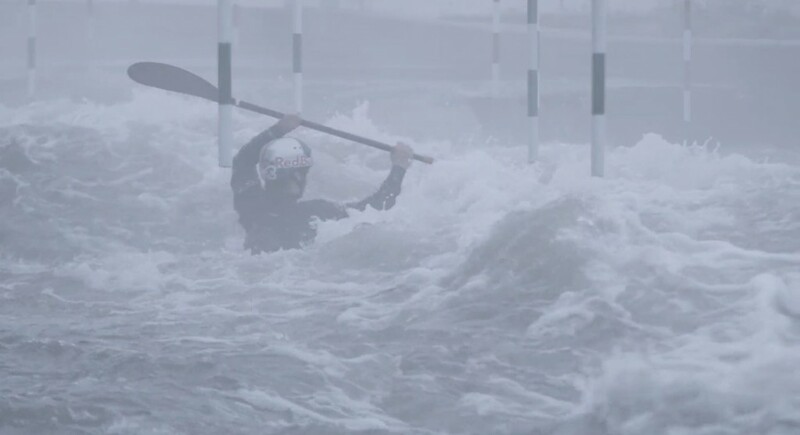 I’ve known Nouria since she was 10 or 11 – I was at my peak form in kayaking back then, and impressed already by the commitment and determination of this little girl trying all sort of moves in her kayak, and staying longer in the kayak than anyone else. Almost fifteen years later and after wining world championship medals in pretty much every whitewater discipline you can think of, Nouria’s commitment and passion remain the same! From the beginning it was clear for both of us that we wouldn’t go for the classic seated interview/biography kind of clip. 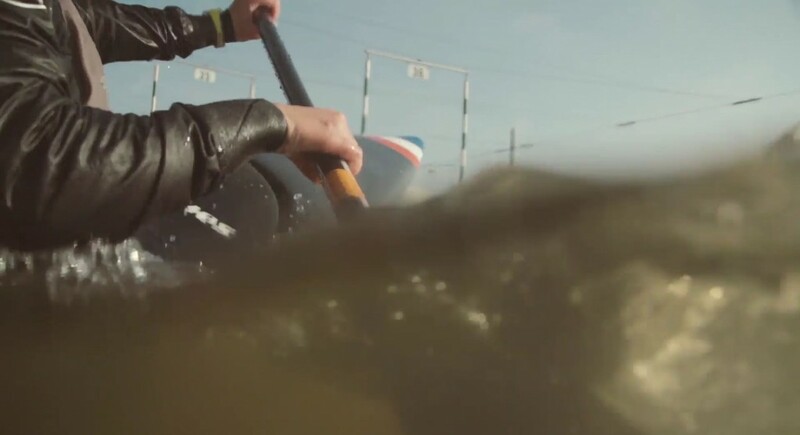 Nouria’s eclectism in her kayaking and personality had to stand out, and the narrative form of the clip was thought out to do just that. 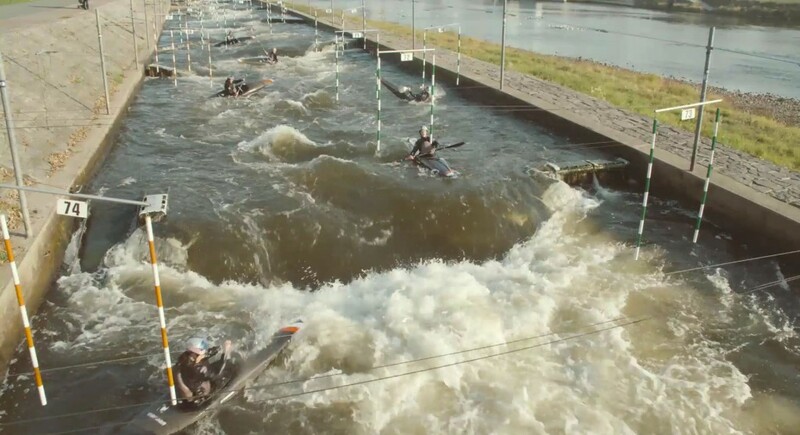 Sourcing river running material was fairly simple thanks to the Wells brothers @ www.mountainmindcollective.com ; sourcing quality slalom footage was not an option, so I flew to Prague in october to document Nouria’s training on the whitewater course. We started shooting around 6:30 in the morning and the misty atmoshpere and deserted kayak course provided the perfect background for this grey atmosphere I was also after. A top-level athlete’s life isn’t just made of sunny destinations and perfect conditions and this is something we wanted to show in the clip. 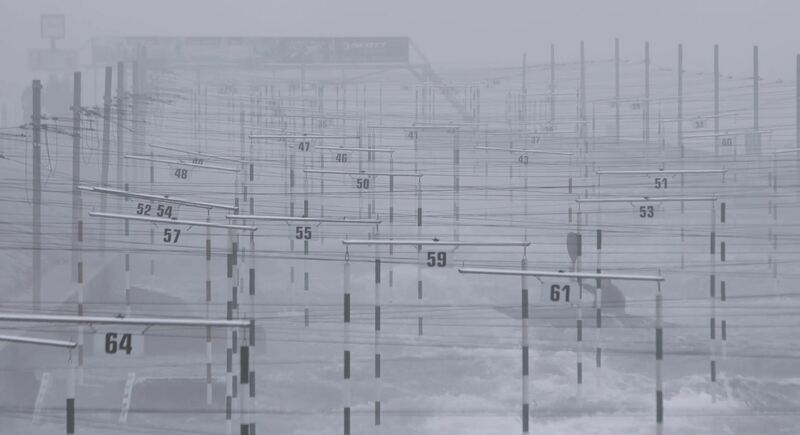 The cold winter days on the water are also part of the equation ; the morning mist, along with hundreds of cables hanging over the course provided the dark, almost unfriendly touch to visually highlight this idea. Later on the sun came out and it was time to have some fun with aquatic, very aesthetic slow-motion shots done with my FS700 and a waterproof bag. I would however strongly advise against swimming in Prague’s slalom course though, as I hit my tibias more times than I can remember. The final scenes in Paris and the editing were done by Hugo Clouzeau, completing the portrait of a busy and talented Nouria Newman as she ‘s fighting her way to the Olympics next summer in Rio!